Geoff Lawrence, the CFO of WeedTV, breaks down the big news items in the world of weed! Geoff is a seasoned government-relations official, legislative director, accountant, economist and financial analyst. Prior to joining WeedTV and its parent company, Players Network, Geoff spent a decade as a think-tank public policy analyst. He then worked as the policy director for the majority caucus in the Nevada Legislature and spent a few years as Nevada's Assistant State Controller where he oversaw the state's financial reporting. 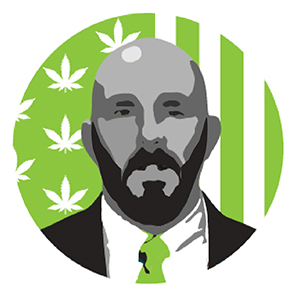 Geoff uses this background to analyze major developments in legislation, local ordinance, ballot measures and financial news as it relates to either the medical or recreational use of marijuana. Geoff knows it's too late to put the rhetorical genie of legal marijuana use back in the bottle and has fun mocking those who believe it's possible. Sit down, light up and have a Session with Geoff today! Get Buzzed on News - Politics - Cannabis Laws! Stay tuned every Friday for a new episode of Geoff's Sessions! Follow and Subscribe to Geoff's Sessions on WeedTV! WATCH More and Get Buzzed!